Several documents I have published on the dues situation in other neighborhoods continue to generate questions. I think it was a fair criticism that my Dues Study did not go deep enough. I am updating that document as I have time. 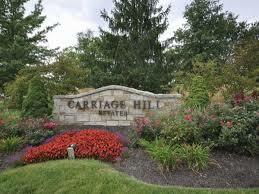 I am adding information regarding the age of the neighborhood, number of homes, and a broader list of amenities. Where financial statements are available, I am compiling relevant data. This is taking some degree of detective work because some communities password protect the data that I am seeking. Where public access is granted, I am finding comparisons interesting and relevant. Why should we care what other neighborhoods are up to financially? I think, to some extent, we compete with what other neighborhoods offer in terms of amenities and culture. Of course, many families choose a home often based on school districts. But reputation of the community plays a significant role. In the language of modern marketing, our reputation is our Bridge Pointe “brand”. In a sea of HOA’s around us, some will adhere to best practices and others will not. Some will keep up with the realities of economic pressure (price increases) and others will not. We should keep an eye on what competing neighborhoods do because market conditions change and we should want to be on the field with the best of the best. Watching successful neighborhoods should be motivating to those who lead us. As neighborhoods age, the condition of community property becomes more and more relevant and, in fact, becomes the outward manifestation of how the neighborhood views their community. Asset care and condition become the predictor of where the neighborhood is headed. One thing that I wanted to share today is about a Northland neighborhood somewhat similar to ours called Carriage Hill Estates. The Carriage Hill Estates HOA has 315 homeowners (we have 201) and their founding documents date to 1987 (Ours are dated 1986). They did a professional (hired an outside firm) reserve study in 2006-2007 which I have published in this article. At the time they had $125,000 in savings and the study showed that they were actually 167% over-reserved. It looks like they have approximately $150,000 in targeted reserves (cash-on-hand) as of 2016. I recognize that I sound like a broken record on this subject. I think we are at a critical juncture as a neighborhood and I want to see us take the proper steps to protect the future of Bridge Pointe. I highly recommend that you at least scan through Carriage Hill’s Reserve Study. This is how great neighborhoods insure the longterm “passing of the baton”! I am confident that we can achieve something similar.